The NUS is again embroiled in a row as Vice President for Union Development Richard Brooks was filmed discussing plans to oust President Malia Bouattia, and was then called 'racist' and 'Islamophobic' by a member of the group's National Executive Council (NEC). Brooks allegedly colluded with the Israeli embassy to depose the current NUS President. In a undercover film made by Al-Jazeera, he accuses Bouattia of being 'racist'. Last year, a group of cross party MPs wrote a report in which they accuse her of 'outright racism' and where they attack the NUS for being'anti-semetic'. Brooks responded with an article where he says his opposition to Bouattia is not a secret, and attacks reports that he colluded with a foreign government as a 'conspiracy theory'. He posted to Twitter that : "[I] have referred myself for investigation which I expect to clear me of all wrongdoing". 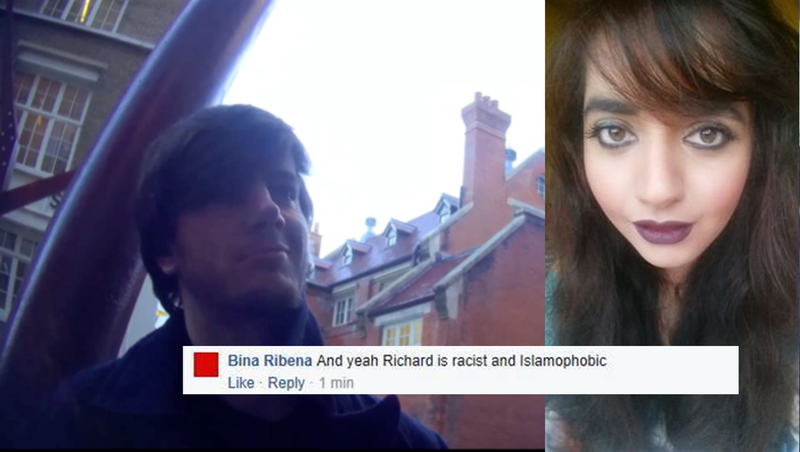 Shabina Raja, who says she is on the NUS NEC (though isn't listed on the NUSconnect website), said Brooks was "racist and Islamophobic". However when asked to substantiate these claims on Facebook, she attacked the Facebook user who challenged because he 'didn't take her word for it'. She then said "As a woman of colour I don't have to waste my time education you".